Ana Luna Catamaran offers an expanded selection of Liveaboard options. 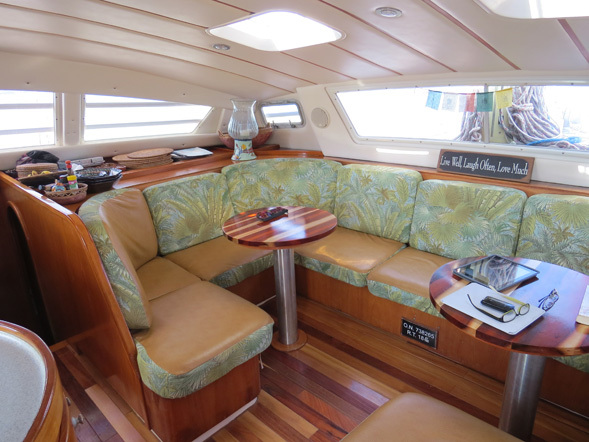 The 45′ luxury catamaran was built specifically for high end week long charters. She features four cabins with en suite bathrooms, swim shower astern, full galley, large salon and seating for seven in the cockpit area. Cabins are cozy, for one or two guests. Ample storage of clothing etc, natural ventilation. Guests may sleep on deck or in trampolines. Captain is onboard at all times for your safety and service. Grotto Bay Beach Resort Dock is generally the pickup and dropoff point. Designed for guests who want to explore Bermuda by day and enjoy the waters surrounding And Luna in the eve and morning. Hours of stay are from six pm to ten am, breakfast prepared by the captain is included. If stay coincides with a group cruise the guest may join the cruise at no additional cost. 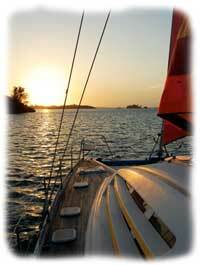 Dinner aboard, generally fresh Bermudian faire, fish, is an option, cost is $35 pp for three course meal. Guest are discouraged from ‘clubbing’, staying out on the town till the wee hours. The point of the stay is to enjoy the life at sea.. Exclusive of Bar and Dinners. Gratuity is optional. Perfect for complete enjoyment of the Bermudian sea by day and by night. Three meals, bar, scuba, snorkel are all included, just point the way! Please discuss your desires with the captain in advance of stay so the outing can be seamlessly arranged. Base price $1,950 for initial two guests, $245 per cabin for additionals. Scuba divers must bring their own kit, we do have weights. $20 per dive upcharge for tank air and related schlepping. The 24 hour option works well in conjunction with simple stay. Guests may pick and choose the day on land or at sea when having a multi night stay, that said Ana Luna might have other charter obligations which need to be considered in scheduling.